You know what we love to do this time of year? 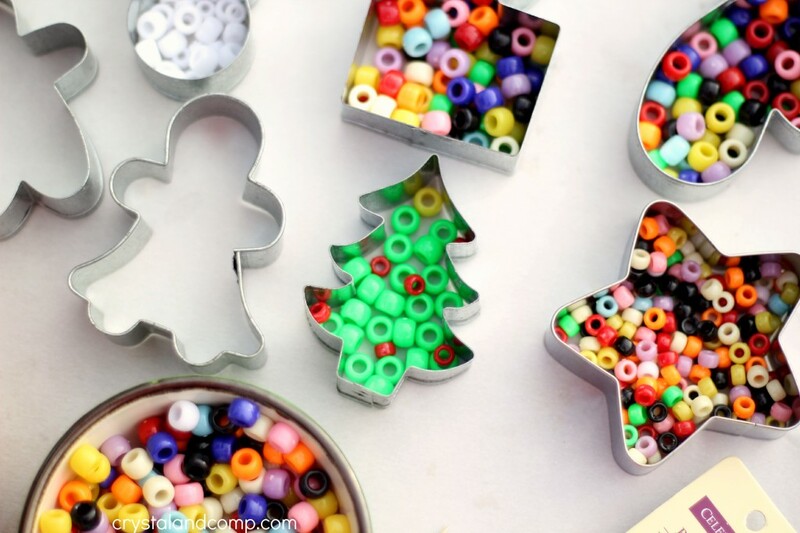 Make our own beaded ornaments to go on our Christmas tree. It is such an awesome way to make memories together and you can even use them to decorate your tree! 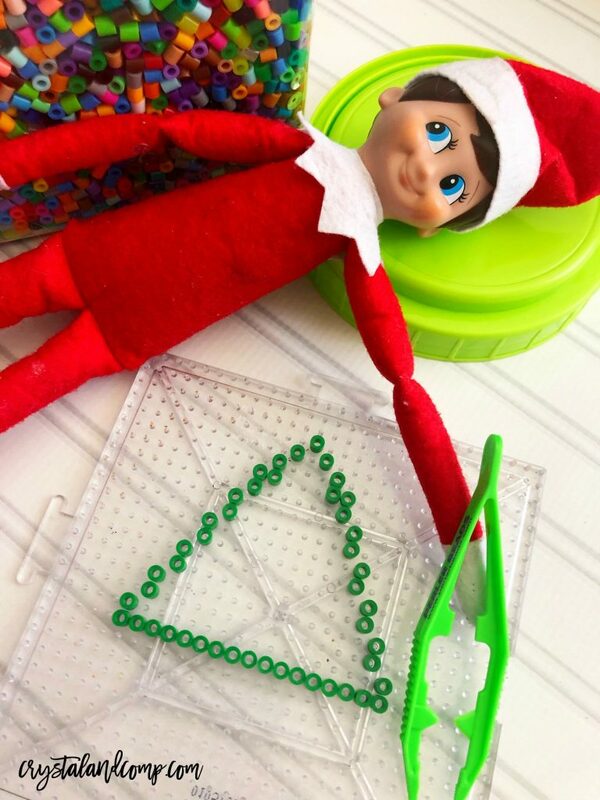 I am going to show you how easy these are to make and how to incorporate your Elf on the Shelf. I just love how they turned out and I think you will be surprised. Have the image of the Christmas tree template handy. You can also click on the image above and print it. Grab your large square pegboard. 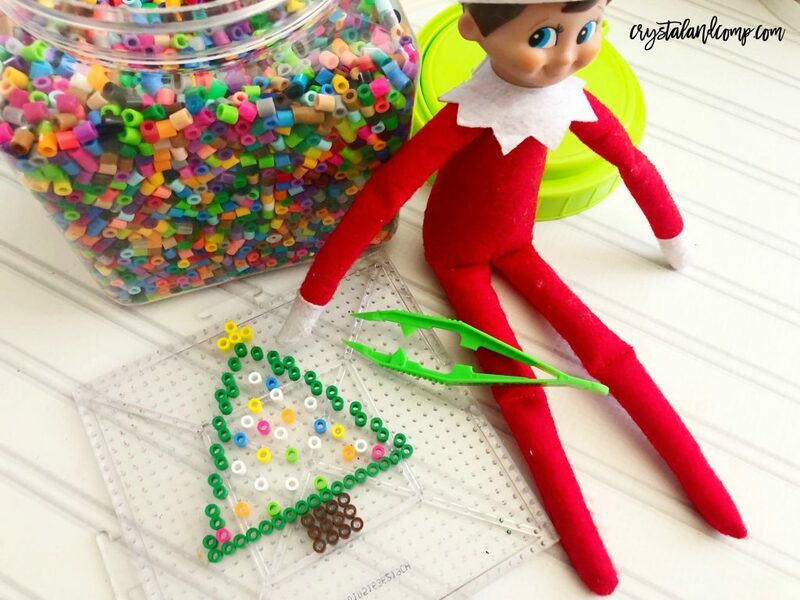 Use the tweezers to pick up each perler bead and start by making the outline of the tree. Work your way from the top to the bottom of the image. Next, you want to add in 12 brown beads on the bottom of the tree to create the trunk. Then add in some random color beads to the inside of the tree to represent the lights. Add a star to the top by using 4 yellow beads. 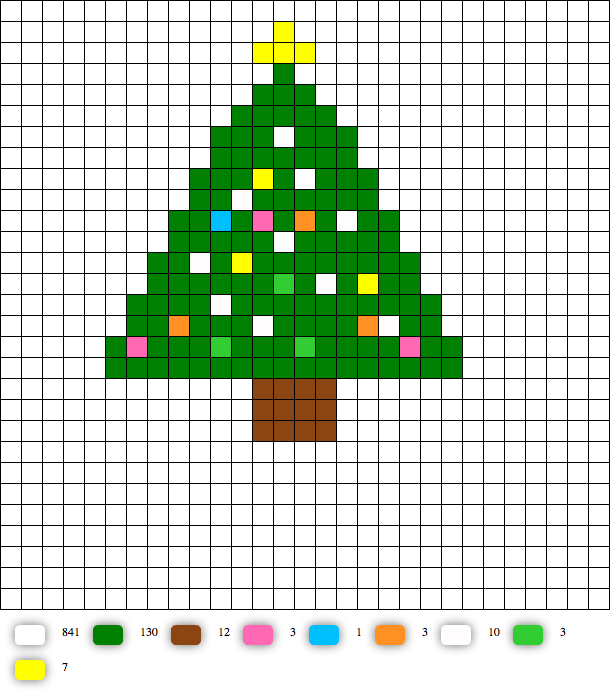 Now you can fill in the rest of the tree with green beads. 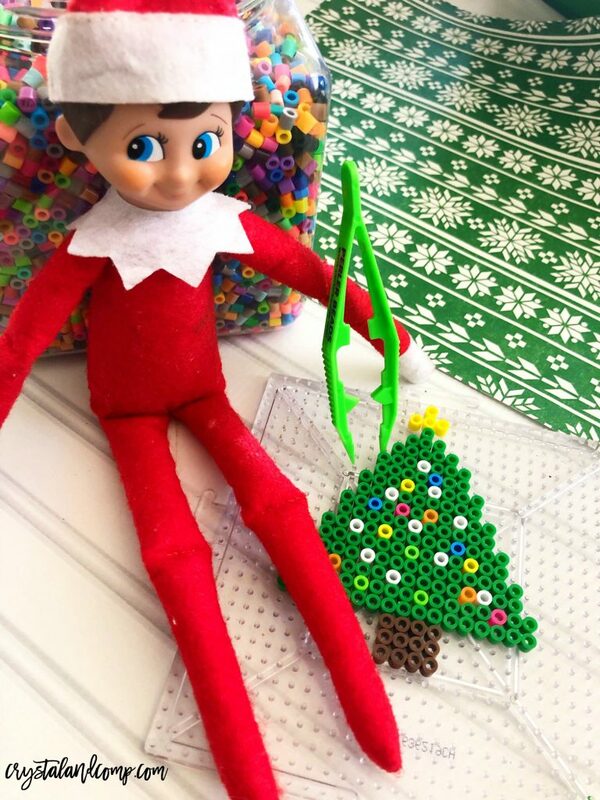 Leave the beads on the board and lay your Elf next to it. 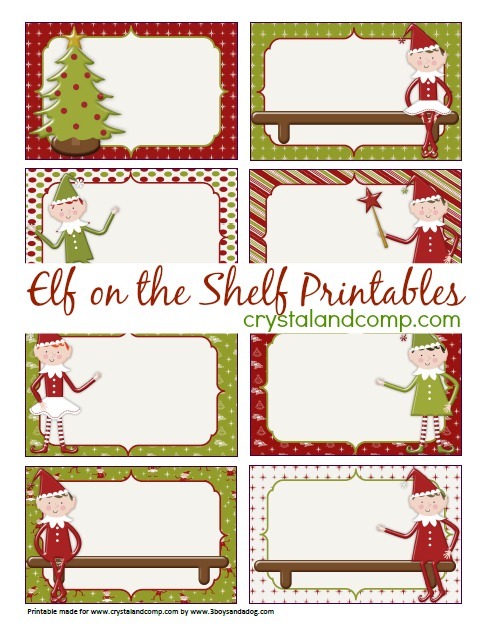 Leave a note from Elf using our printable notecards. On the note include directions to complete the tree with a parent as an activity in the morning when they find it. Carefully place a piece of ironing paper over the top of your tree and iron on a dry setting for about 20 seconds (with the help of a parent), or until the beads start sticking together. Let the ornament cool completely then peel your bead design off. 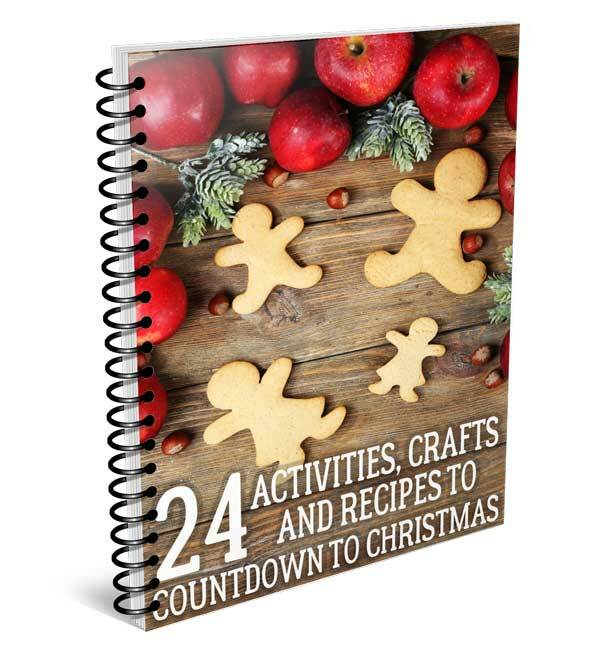 You could also use this activity for your child’s class party at school, for a homeschool Christmas party activity, for your family Christmas fun night, the ideas go on and on! Make sure you check out all of our Elf on the Shelf ideas while you’re here. We have over 200 of them! Remember to be careful when you are ironing (melting) the beads. You do not want the hear to be too hot. Keep your iron at a warm setting. Also, when you use the iron, you want to be sure you don’t knock any of the beads out of place. Slowly use a circular motion when you’re melting the beads. Always remember to use ironing paper, or parchment paper. Do not apply the iron directly to the beads. It should only take about 30 seconds to melt the beads. You don’t want to burn them. Apply gentle pressure. Do not use wax paper. The wax will fuse into your beads. Perler beads are not toxic. They are made to be melted. They are made out of a low-density polyethylene (also known as LDPE). This is a food grade plastic. We made Christmas beaded ornaments for the first time a few years back. We super glued on string and used them to decorate our tree. They were so simple and so fun to make that my kids beg to make more every Christmas. You can see how we made ornaments using cookie cutters. You can use perler beads or pony beads to create these. Here are some of my favorite metal Christmas cookie cutters that work perfect for a project like this. Here is a quick video that shows how we make them. One thing I love to do with my Elf on the Shelf is to have him bring notes for my kids or to have my kids leave notes for him. You can use our printable note cards to do just that. These keepsake homemade ornaments will be treasured for years to come. 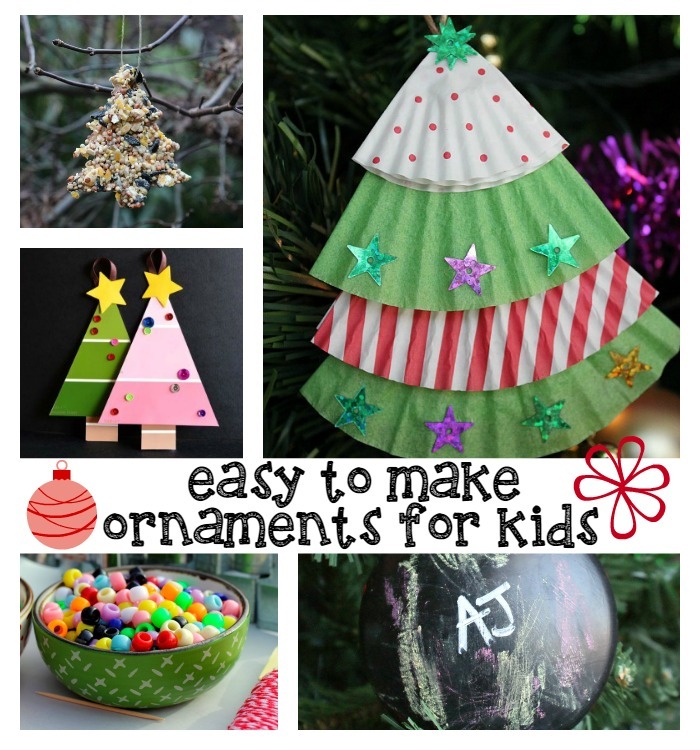 Pick a few from the list and make them with your kiddos this season. If you like making homemade ornaments and doing Elf on the Shelf activities, you might really like this as well! I love this fun advent activity pack is something you can to do with your kids this year that is full of crafts and making memories together! 24 days of countdown to Christmas!